Take Highway 89 West off of US 52 in Mt. Airy towards Galax, or Exit 6 off of I-74, or Exit 100 off of I-77. 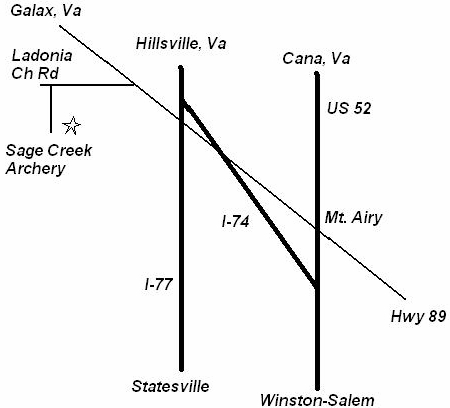 Travel 6 miles past I-77 on Highway 89 West to Ladonia Church Road on your left. Club will be 2 miles on your left.